Our expansion in the Midwest makes it easier for our valued OEMs and end users to quickly get the DEUTZ products and services they need. DEUTZ Power Center Midwest, located in North Kansas City, MO, has added the entire state of Kansas to its coverage area, which also includes Missouri, Nebraska, Iowa, Illinois and Northern Indiana. To better support customers in this large region, DPC Midwest now offers products and services from five locations and has expanded its number of employees by forty percent. DEUTZ Power Centers provide dedicated application engineering and technical sales resources closer to smaller and mid-sized machinery manufacturers that utilize DEUTZ products. Manufacturers can receive custom, value-added production and assembly services that result in the best possible DEUTZ solution for their engine specification and configuration needs. Power Center customers can also purchase new DEUTZ engines powered by diesel fuel or natural gas, as well as DEUTZ Xchange remanufactured engines. 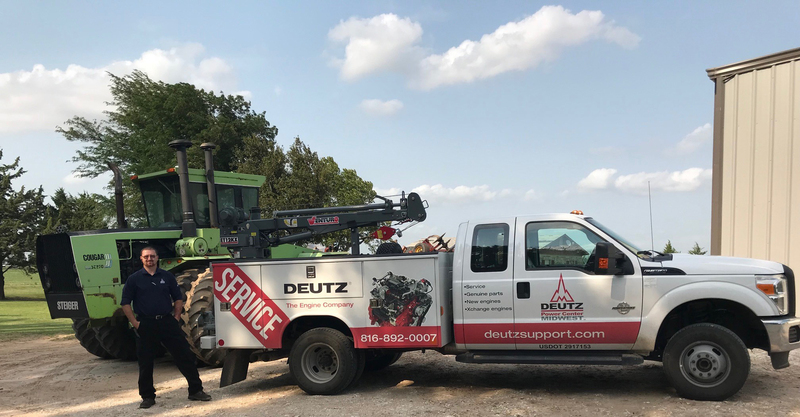 Meanwhile, DEUTZ Service Centers provide regularly scheduled maintenance, emergency DEUTZ engine service, and genuine DEUTZ parts and fluids to customers, dealers and qualified OEM dealers with DEUTZ-powered equipment. For more information about DEUTZ Power Center Midwest or the complete line of DEUTZ diesel and natural gas engines it sells and supports, please visit http://www.deutzsupport.com. For more than 150 years, DEUTZ engines have supplied customized, cost-effective power to a broad array of machine types and market segments. The nine millionth DEUTZ engine was produced in 2015. From its headquarters in Norcross, GA, DEUTZ Corporation, a subsidiary of DEUTZ AG, supports its product range of 25- to 830-hp diesel and natural gas engines. The company is committed to providing optimized power solutions from the drawing board to prototype to production release. The organization serves as a sales, service, parts, and application engineering center for the Americas, employing nearly 300 people. DEUTZ Corporation also operates a value-added production facility for some of its key OEM partners, as well as an engine remanufacturing facility in Pendergrass, Georgia. Strategically located DEUTZ Power Centers and Service Centers are designed uniquely support both OEM partners and end users. For more information, visit http://www.deutzamericas.com.